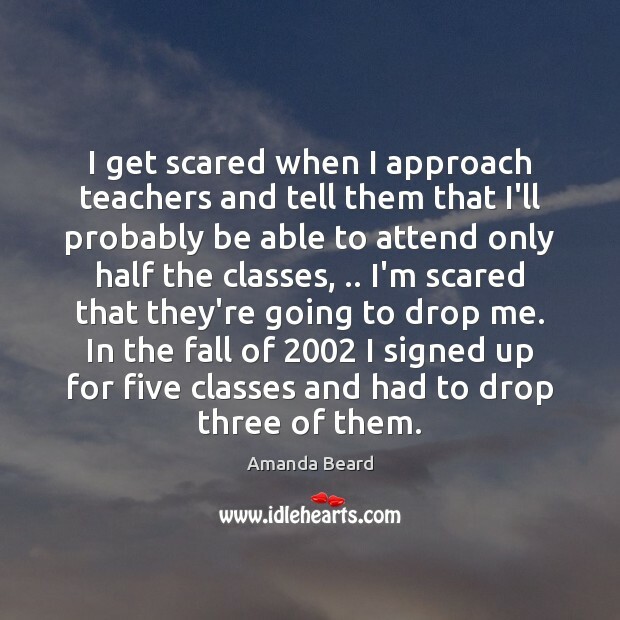 Enjoy the best inspirational, motivational, positive, funny and famous quotes by Amanda Beard. Use words and picture quotations to push forward and inspire you keep going in life! Id go to swim practice, put my face in the water, and I didnt have to talk to anybody. 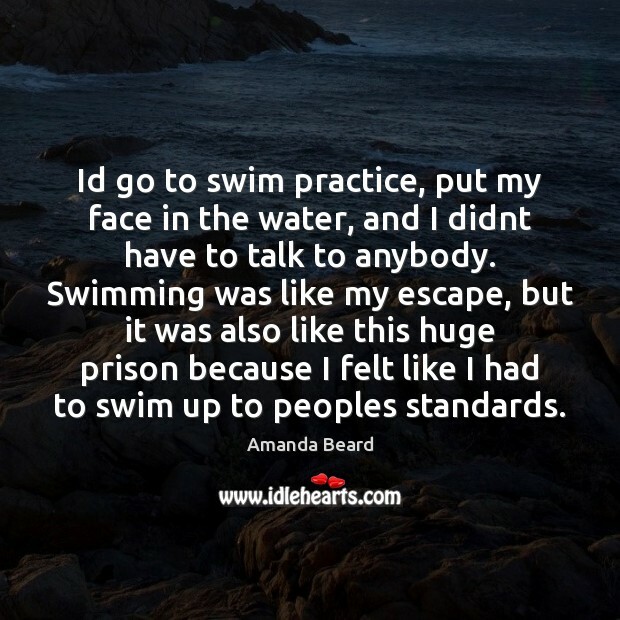 Swimming was like my escape, but it was also like this huge prison because I felt like I had to swim up to peoples standards. When people say to me, 'You're like the Anna Kournikova who wins,' I definitely take it as a compliment, because she's quite gorgeous. 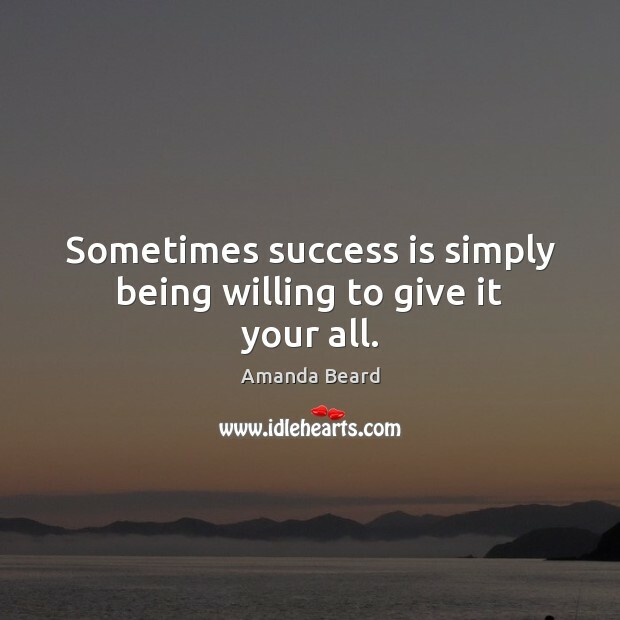 Sometimes success is simply being willing to give it your all. People wanted to be friends with me for not the right reasons. 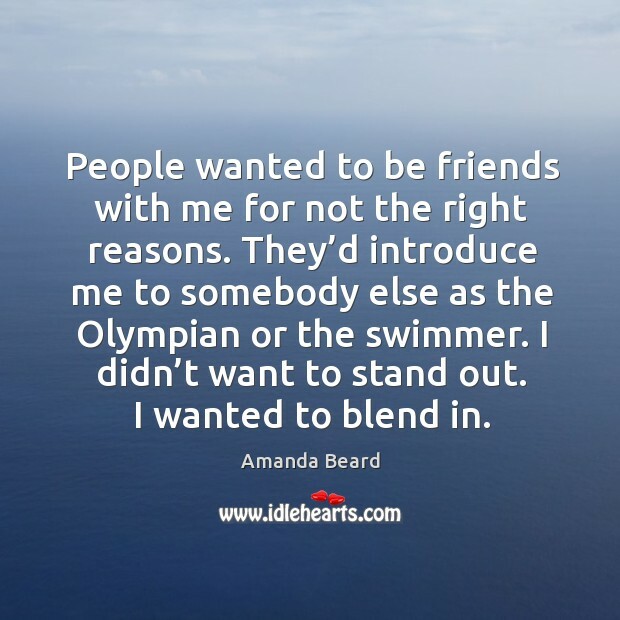 They'd introduce me to somebody else as the Olympian or the swimmer. I didn't want to stand out. I wanted to blend in. 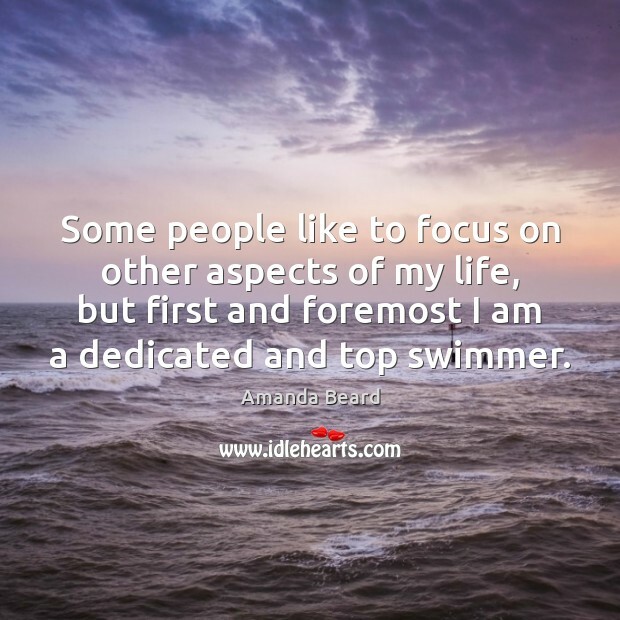 Some people like to focus on other aspects of my life, but first and foremost I am a dedicated and top swimmer. 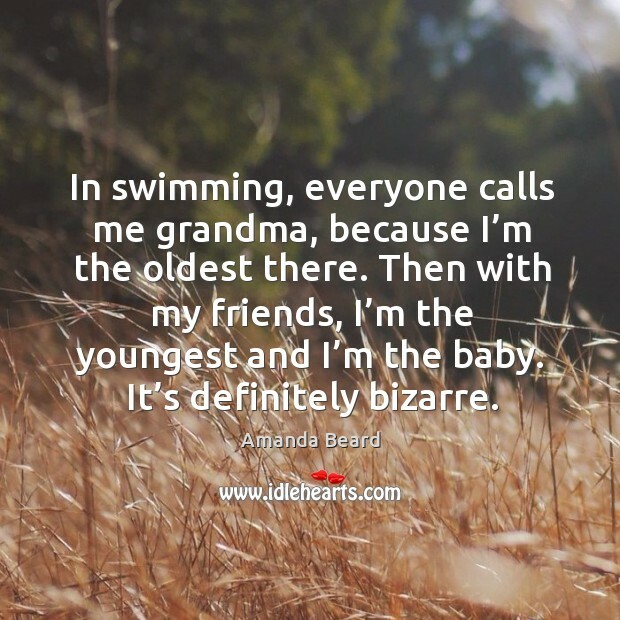 In swimming, everyone calls me grandma, because I'm the oldest there. Then with my friends, I'm the youngest and I'm the baby. It's definitely bizarre. 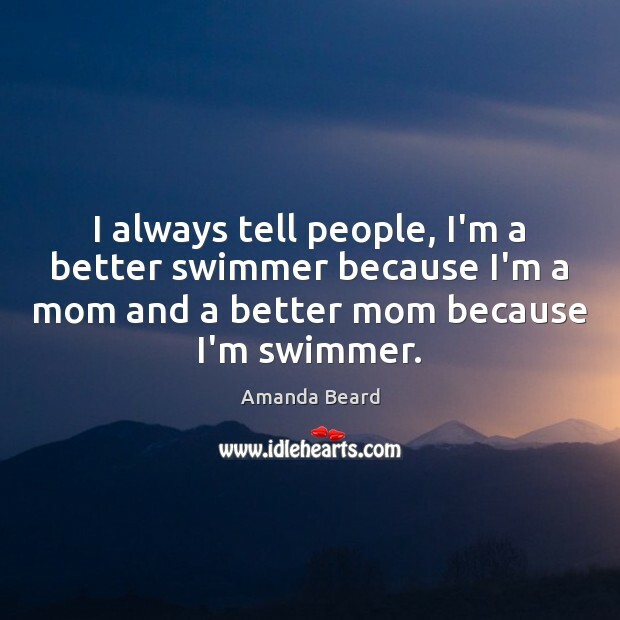 I always tell people, I'm a better swimmer because I'm a mom and a better mom because I'm swimmer. 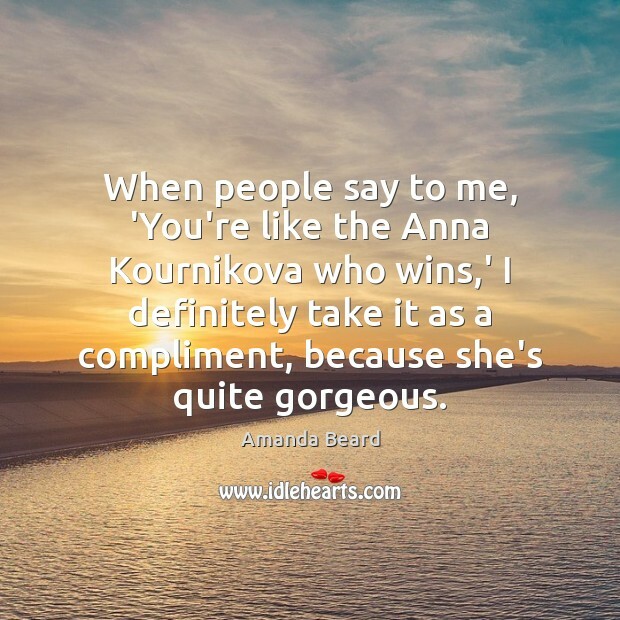 When people say to me, ‘You’re like the Anna Kournikova who wins,’ I definitely take it as a compliment, because she’s quite gorgeous. 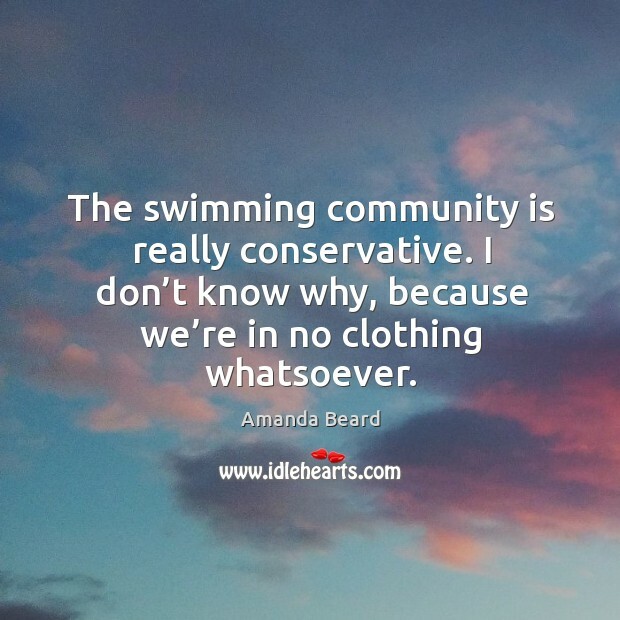 The swimming community is really conservative. I don’t know why, because we’re in no clothing whatsoever. 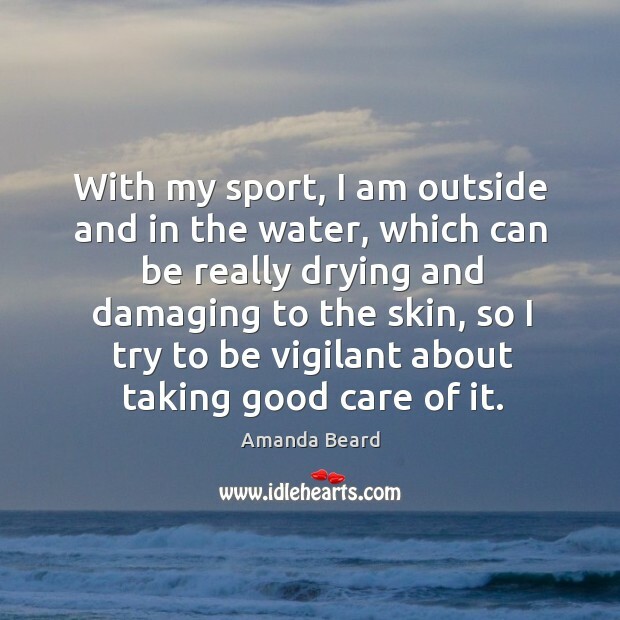 With my sport, I am outside and in the water, which can be really drying and damaging to the skin, so I try to be vigilant about taking good care of it. 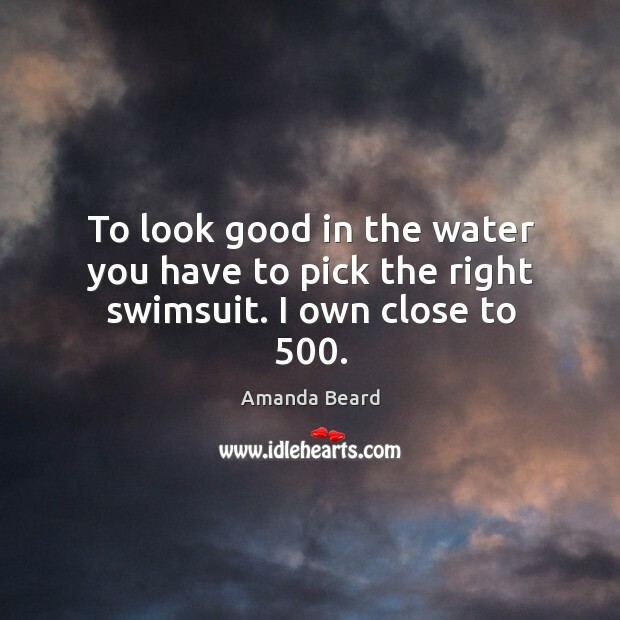 To look good in the water you have to pick the right swimsuit. I own close to 500. 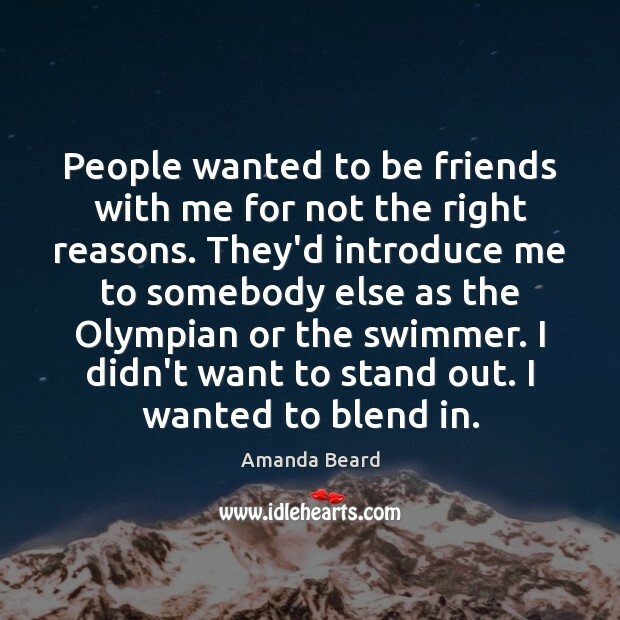 People wanted to be friends with me for not the right reasons. They’d introduce me to somebody else as the Olympian or the swimmer. I didn’t want to stand out. I wanted to blend in. 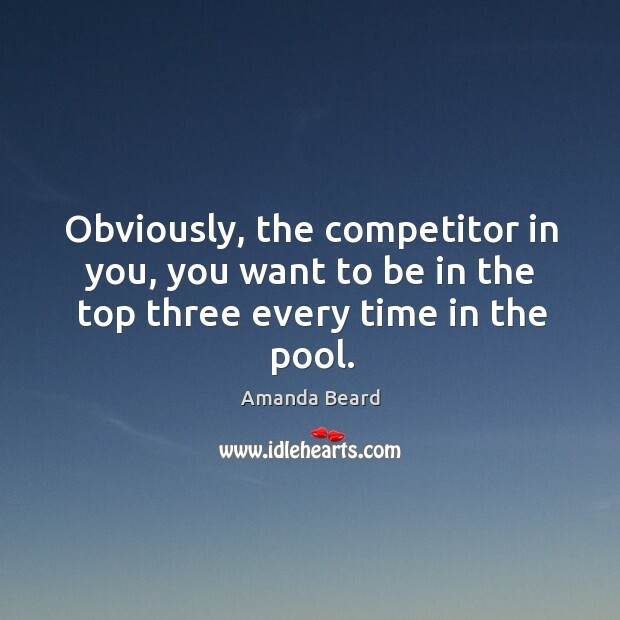 Obviously, the competitor in you, you want to be in the top three every time in the pool. 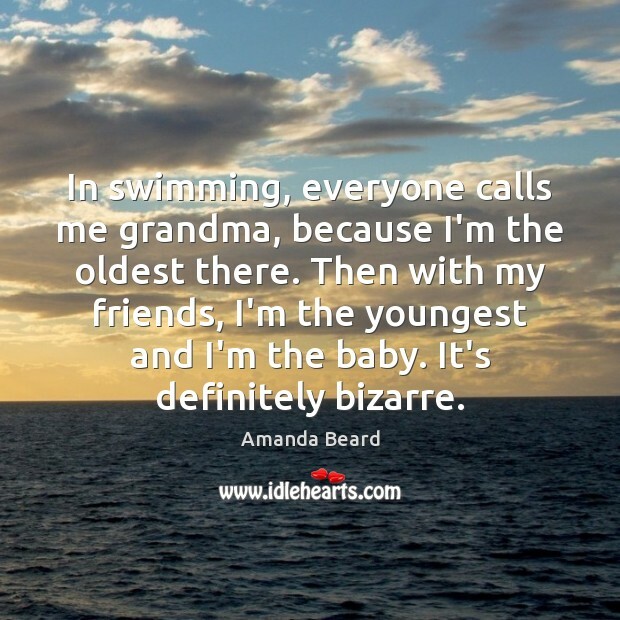 In swimming, everyone calls me grandma, because I’m the oldest there. Then with my friends, I’m the youngest and I’m the baby. It’s definitely bizarre. 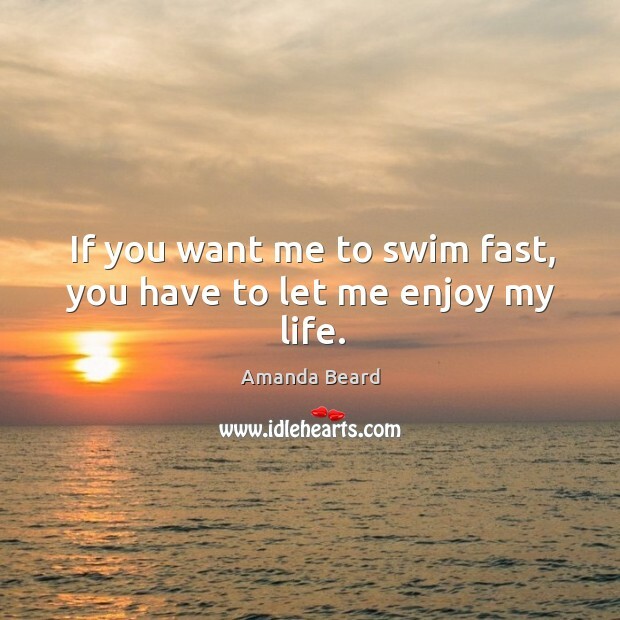 If you want me to swim fast, you have to let me enjoy my life.